Singer/songwriter/producer and eight-time Grammy Award winner Anita Baker is releasing her seventh studio album, Only Forever (Blue Note Records/EMI). The new album, executive produced by Baker and musician/Blue Note president Don Was, will be arriving soon. With four platinum and two gold albums to her credit, this is Baker's first set of original material since 2004's My Everything. "It was just time," says Baker, who is transitioning into the role of empty nester now that both sons are attending college. "I want to connect with my fans. They've been so supportive." Because of that support, Baker has already added another hit to her arsenal with the anticipated set's lead single, "Lately." Baker's sensual, bluesy revamp of the 1999 Tyrese hit was launched in unprecedented fashion on Aug. 6: Clear Channel's Urban AC stations played the song every hour on the hour. Subsequently, the single marked the singer/songwriter/producer's triumphant return to Billboard's Urban AC chart. A top 5 hit after only three weeks, the Underdogs-produced track debuted at No. 10, Baker's highest-bowing single since 1994's "Body & Soul" at No. 15. Those numbers aren't the story, however. The real story is a very clear and simple one. No one sings the hell out of a song and touches souls the way Anita Baker can. But as an analog-bred singer working in a digital/Pro Tools world, Baker confronted a challenge: how to balance both worlds without sacrificing her unique sound and style. "There's a lot to respect about current day but I had never really recorded in a totally digital environment before. I had to try it on," explains Baker. "My music is 360 degrees: going from my heart to the studio to my fans and the live stage. At the same time, however, I wanted to be with my contemporaries." So she started recording the songs in analog with a live rhythm section, then took them digital and added some live overdubs. Baker also called on hit makingsongwriter/producers representing both worlds, namely The Underdogs (Beyoncé, Britney Spears, Jordin Sparks and Chris Brown) and frequent collaborator Barry Eastmond (Baker's Rhythm of Love and My Everything, Whitney Houston). Co-producers include noted bassist and Fourplay member Nathan East and "American Idol" music director Ray Chew. The resulting Only Forever is a seamless fusion of classic and contemporary soul that remains true to what Baker does best: weaving her earthy yet sultry vocals within an exquisite tapestry of R&B laced with jazz and gospel. And love remains the singer/songwriter's favorite topic. "Oh god, no. I never get tired of singing about love," says Baker with a laugh. "It breathes life into me." The singer illustrates that to perfection on another Underdogs-produced track, the lush "Unconditionally Yours." The Baker-penned track talks about unconditional surrender in a relationship. "I lay down my sword, This victory is yours, I fight you no more .. Baby, please remember that I love to surrender to you," sings Baker. She switches into jazz mode on two songs she co-wrote with East: "Let Go" and "Play Me Your Music." Another song, the up-tempo "Heartbeat," was co-written by Vernon Fails. With Baker, he co-wrote her 1990 hit "Fairy Tales," but passed away last year. Inspired by her sons' leaving home, Baker examines love from a different scope on a collaboration with Was, "Free." Baker also produced the track "Falling in Love." Baker's mesmerizing voice first attracted national attention in 1975. That's when the17-year-old-born in Toledo, Ohio and raised in Detroit joined the Motor City group Chapter 8. Signed to Ariola, the act released a 1979 self-titled debut album that spawned two R&B-charting singles: "Ready For Your Love" and "I Just Wanna Be Your Girl." The former church choir member and legal secretary next took the solo route, signing with indie label Beverly Glen Records. A year later, Baker landed her first top five R&B single with the alluring anthem "Angel." Co-written by Baker, the ballad revealed the singer's talent for penning insightful lyrics about romance and relationships. Segueing to Elektra in 1985, Baker catapulted to stardom with Rapture. The 1986 sophomore album yielded her first mainstream hit, "Sweet Love" (No. 8 pop, No. 2 R&B). The single was among several songs (including "Been So Long," "Watch Your Step") that Baker wrote or co-wrote for the album. Selling more than six million and racking up four top 10 R&B hits, Rapture earned Baker the first of her eight Grammys: Best R&B Vocal Performance, Female for the album and Best R&B Song for "Sweet Love." During her Elektra tenure, Baker scored three more platinum albums and more Grammys: 1988's Giving You the Best That I Got (whose title track was her first No. 1 R&B and biggest pop hit at No. 3); 1990's Compositions and 1994's Rhythm of Love. She further sharpened her songwriting skills, penning more Baker classics such as "Talk to Me" and "I Apologize" in addition to "Giving You the Best That I Got." Taking a break to devote time to her family, Baker returned to center stage in 2004 with a new label-Blue Note-and a new album-the gold-certified My Everything. The following year, Blue Note released the singer's first holiday album, the gold Christmas Fantasy. Rounding out her catalog are the greatest hits package The Best of Anita Baker and live album A Night of Rapture: Live. Now without missing a beat, one of music's most revered singer/songwriter/ producers is back on the scene with Only Forever. 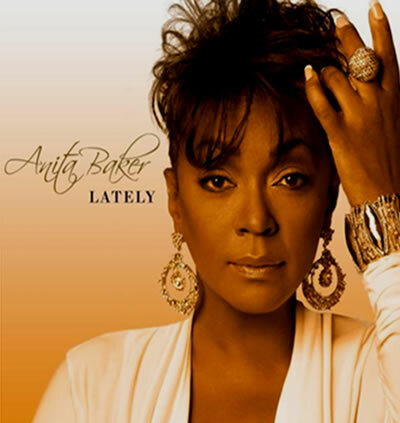 Visit artists website at www.anitabaker.com.